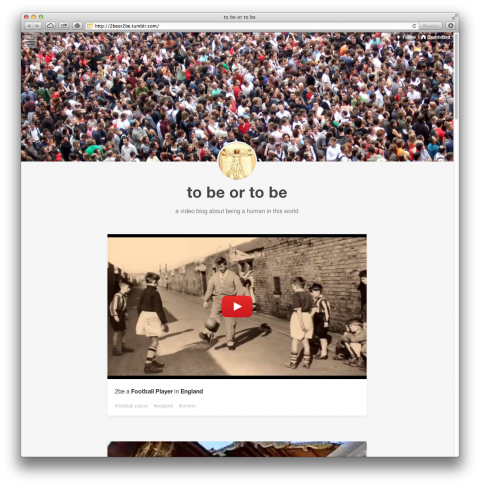 to be or to be is a video blog about being human in this world. Posts on a Football Player in England, a body collector in Thailand or an entrepreneur in Nigeria. 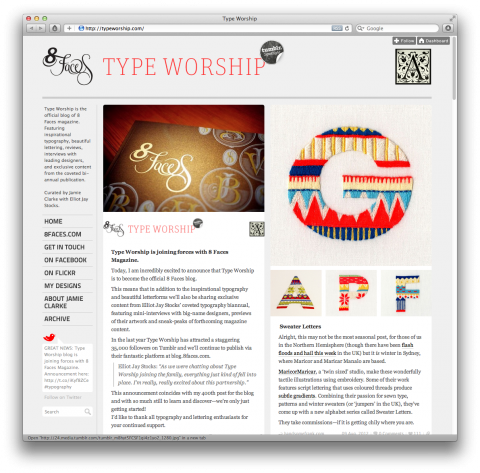 Type Worship is the official blog of 8 Faces magazine. Featuring inspirational typography, beautiful lettering, reviews, interviews with leading designers, and exclusive content from the coveted bi-annual publication. Curated by Jamie Clarke with Elliot Jay Stocks. 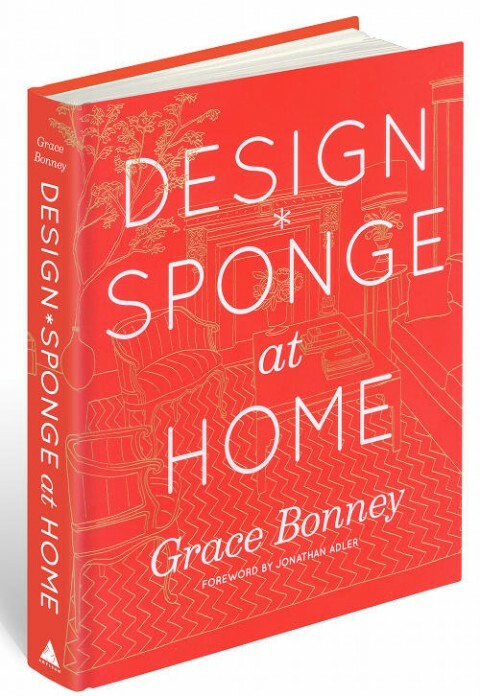 The book includes tours of 70 real-life interiors featuring artists and designers, DIY projects, step-by-step tutorials, Before & After makeovers submitted by her readers and essential tips on modern flower arranging. Congratulations to Grace, what a wonderful achievement! And how adorable is this book trailer? 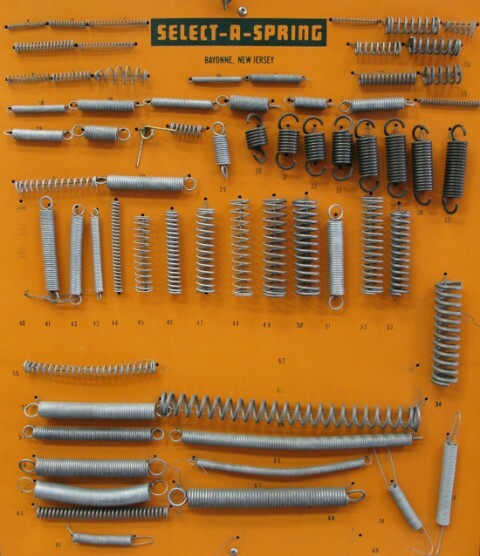 I just discovered this select-a-spring photo over on Mrs. Easton, one of my favorite blogs that I visit regularly. It’s run by Melissa Easton, a very talented industrial designer with a keen eye for interestingness. How refreshing is it to admire the packaging of vintage Pen Nibs, a button selection or French Curves. Yep, Melissa is on my list of people I’d love to have coffee with one day. 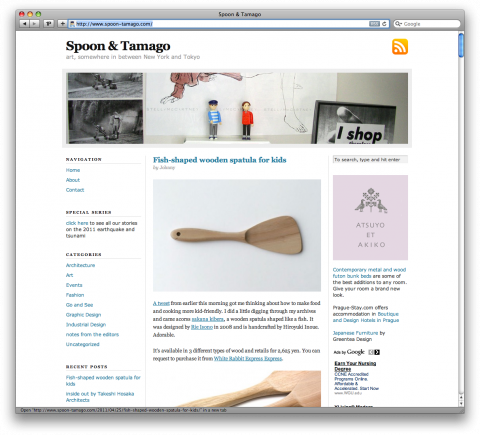 I just had the pleasure to meet Johnny Strategy, force behind the wonderful blog called Spoon & Tamago. For some reason I thought he was based in Tokyo and just recently found out recently that Johnny just lives a few blocks over in Brooklyn. 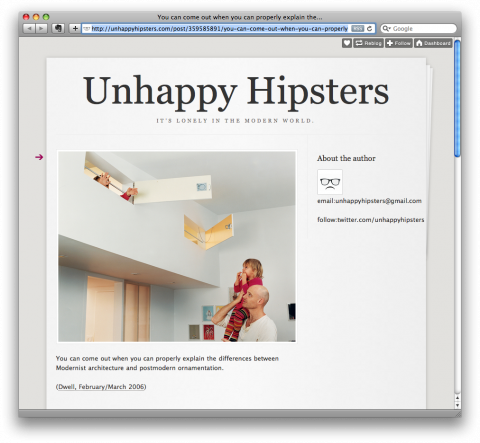 This made me think that every personal site should have a little worldmap in the top right corner indicating where that person/blog is located. 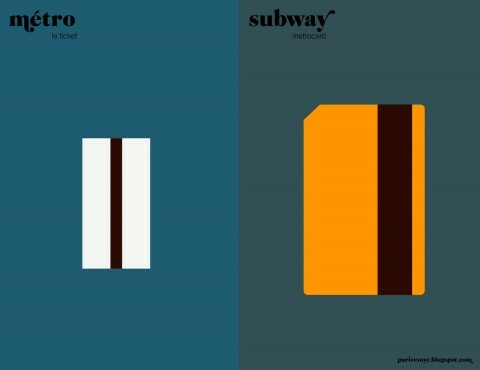 If you are interested in Japanese art and aesthetics, you will enjoy Spoon & Tamago. I feel exactly the same. Read Jay’s full post here. 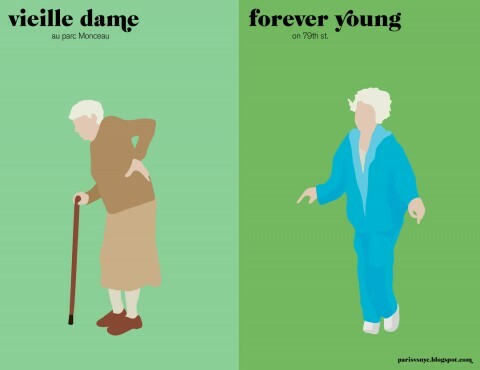 Paris versus New York is a friendly visual match between those two cities, as seen by a Parisian-based-and-lover on New York details, cliches and contradictions. Absolutely fantastic. 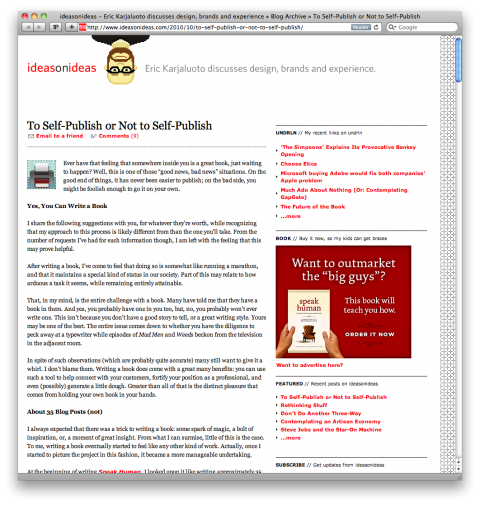 To Self-Publish or Not to Self-Publish. 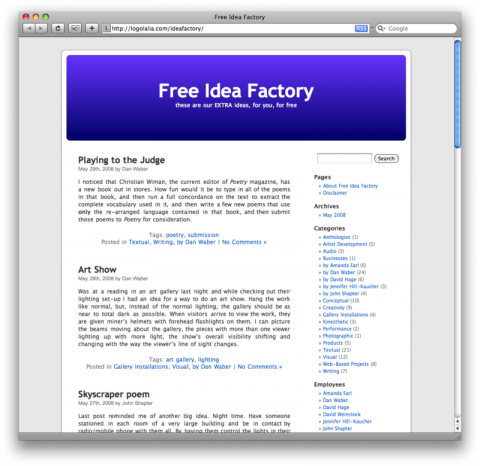 An interesting post by Eric Karjaluoto over on ideasonideas.com. On 36Pages.com Craig Frazier looks at his favorite designers and illustrators books, talks to them and shares the inspiration. Plus, he keeps you posted on his books and projects. 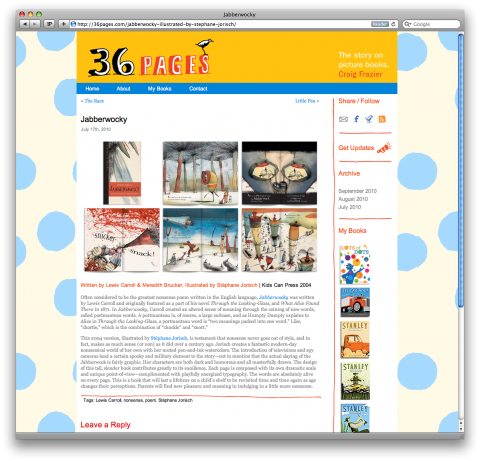 36Pages, the story in picture books. They added a little silly widget poking fun at blogger’s obsessions. 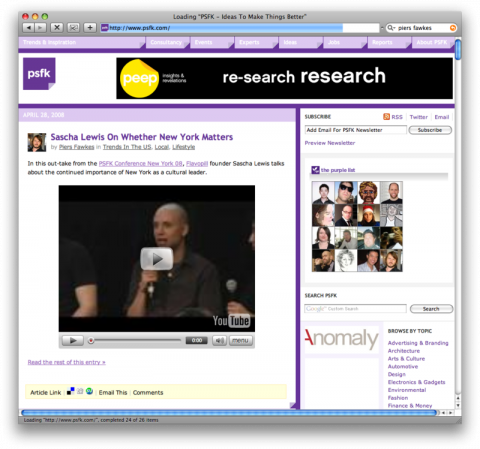 Bloggers like Coudal, Kottke, Draplin and moi. Made me smile. Here’s your chance to pre-order Nice That Issue #3 with an exclusive Parra Print. Included in the content are interviews with the likes of Milton Glaser, Sir Paul Smith and Tom Dixon, as well as features from Ken Garland and Geoff McFetridge. 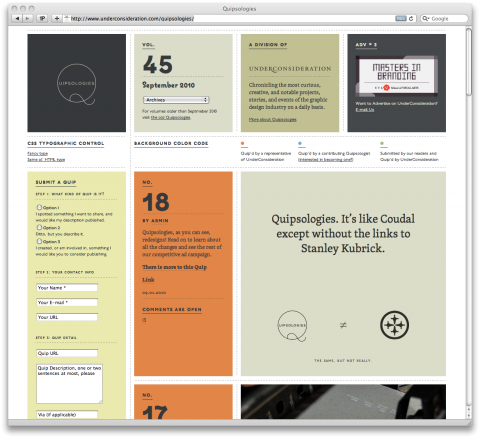 The stellar line-up is also complimented by the usual collection of brilliant work from the last six months on the blog. Every pre-order will also be treated to a free, exclusive large-scale screen print by Amsterdam’s Parra. It has been designed specifically to give anyone who orders a copy of the publication before midnight on March 31st. swissmiss hearts It’s Nice That. Last week, I had the pleasure to run into Jay Parkinson who has rightfully gained lots of recognition and respect for his upside-down thinking when it comes to re-inventing the american healthcare system. 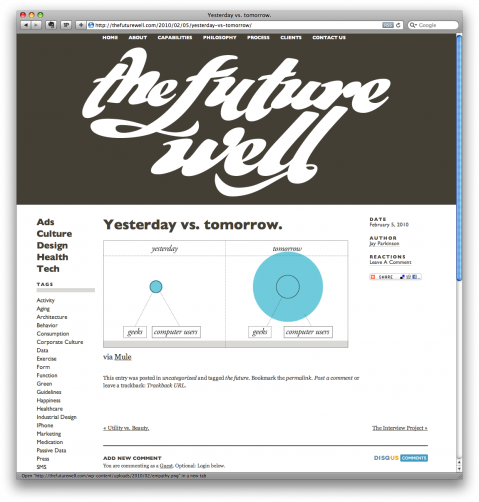 Jay told me about his latest venture, The Future Well. Jay Parkinson and Grant Harrison started the The Future Well with the goals of changing the world’s health with elegantly designed, innovative services and products, new ways of connecting and communicating, and their unending mission to help people feel their best. That’s why Jay went to medical school, spent five years in residency, got his master’s in public health, and created a whole new way of visiting your doctor. And that’s why Grant has worked endlessly for the past 20 years to understand consumers and create innovative new products and services that made their lives better. They are optimistic about the future…very. 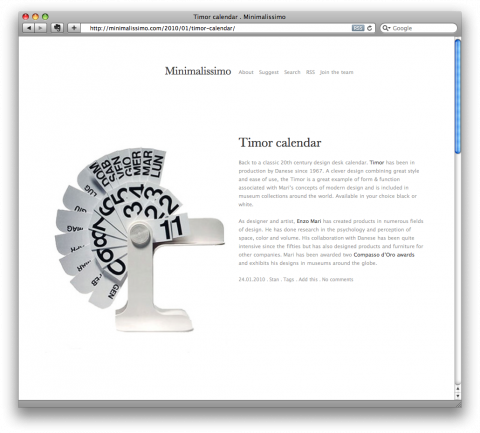 Just discovered Minimalissimo, a blog that celebrates minimalist aesthetics. 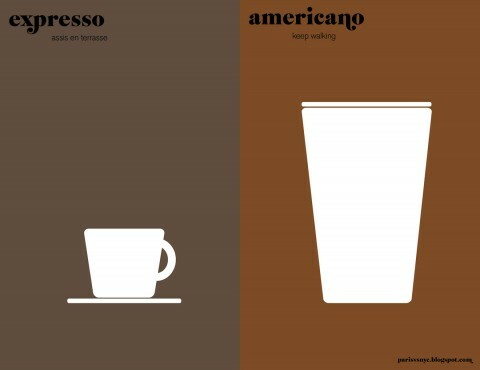 Sites likes Minimalissimo make me happy. Period. 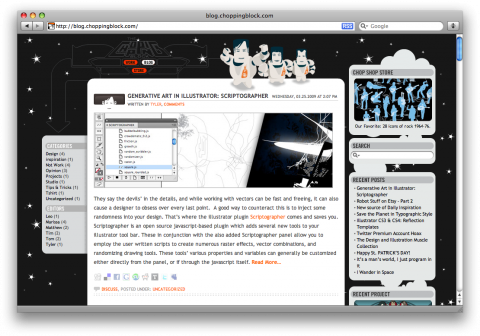 Welcome to the Blogsphere, Chopping Block! 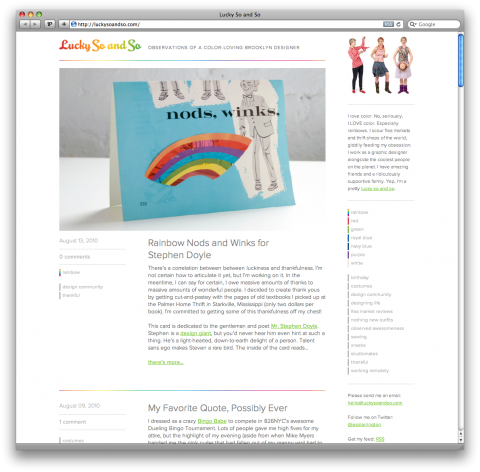 The Chopping Block is now officially part of the blogging world! Everyone, give them a big warm welcome! 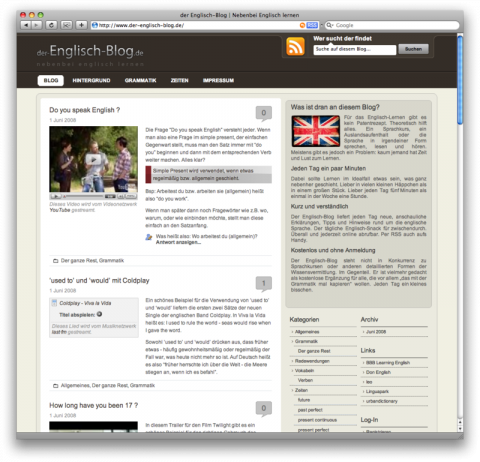 Der Englisch Blog gives free daily a mini english lesson. 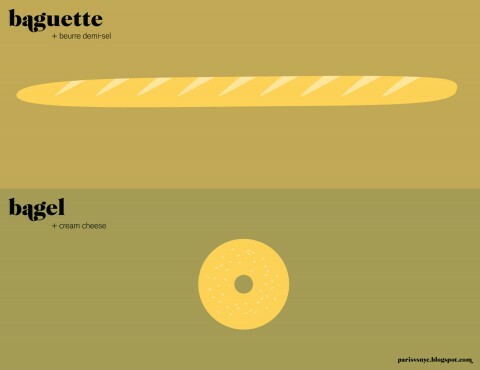 Michel Brendel, translator and long-time english teacher is the force behind this fab idea. 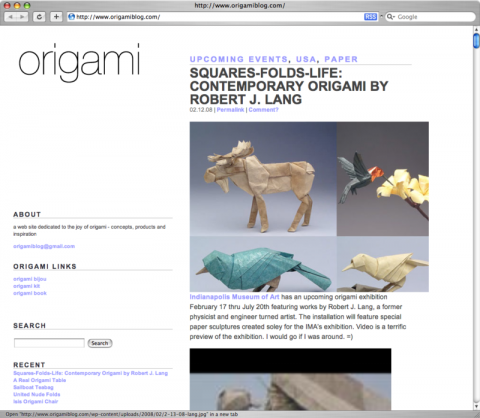 Just discovered a lovely web site dedicated to the joy of origami – concepts, products and inspiration. 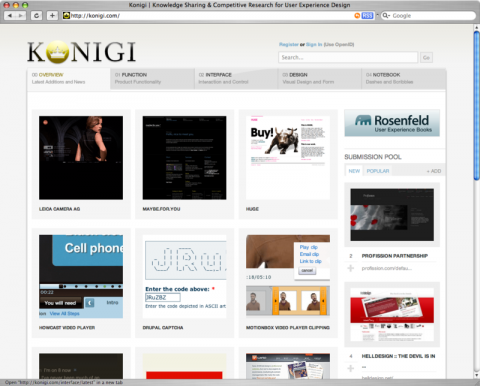 Konigi is a *fantastic* resource for every User Interface Designer. Thank you Michael! 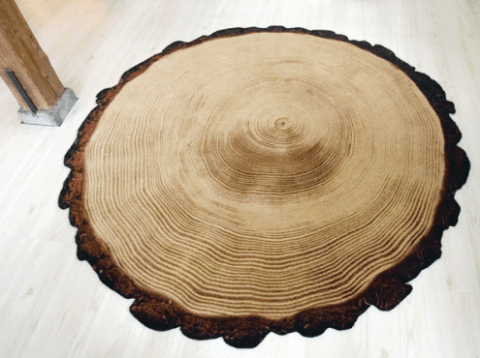 I don’t understand a word, but I am sure loving all the beautiful rugs that are displayed on this blog. I especially love this one called Woody Wood.